A mere 42 years after The Beatles’ split, Paul McCartney has admitted that Yoko Ono was not to blame. In a revealing interview with David Frost, McCartney spoke candidly about the rift with John Lennon that split the most successful band of all time. McCartney first met Frost nearly half a century ago, when the young mop top was already talking about retirement. Now both are pillars of the establishment. The interview covers all aspects of McCartney’s life and career, with the notable exception of his marriage to Heather Mills, which is still a no-go area. 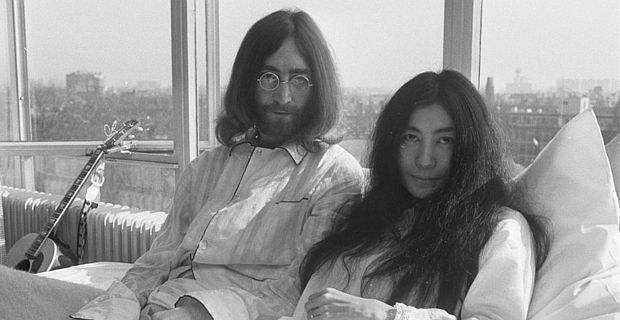 He thinks the Beatles split was inevitable, although Yoko showed Lennon a new side of his creativity. "When Yoko came along, part of her attraction was her avant garde side, her view of things, so she showed him another way to be, which was very attractive to him," McCartney said. "So it was time for John to leave, he was definitely going to leave. She certainly didn't break the group up, the group was breaking up. I don't think you can blame her for anything." That rather begs the question as to why it has taken McCartney so long to say that so explicitly. Looking back, he blames the influence of Allan Klein, the manager who wanted to take over the band, and had the support of John, George and Ringo. "I was fighting against the other three guys who'd been my lifelong soul buddies," McCartney said. "I said I wanted to fight Klein."